The success of a law firm or corporate legal department is rooted in the talent and skill set of its attorneys. Searching for, interviewing and hiring this talent can be time consuming and stressful leaving little time for the actual practice of law. At Legal Search Associates (LSA) we understand these contraints and for over 25 years have successfully assisted law firms and corporate legal departments in the identification, recruitment and hiring of legal professional. In addition, our extensive network of client firms and placed talent allows us to efficiently recruite entire practice groups and facilitate law firm mergers. "Chuck has advanced knowledge of the legal market, a keen ear, and the trust and respect of the legal community for making placements that not only fit, but where both the firm and the lawyer can excel. Based on personal experience and the experience of others who have worked with Chuck, I say with confidence that he is a top-level recruiter. I would recommend Chuck to other high-achieving attorneys in a heartbeat." 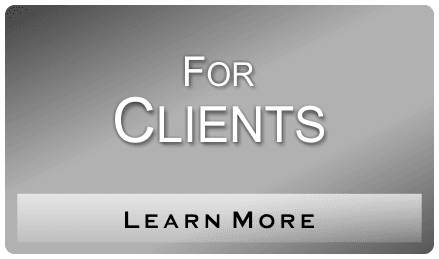 "Chuck is relentless and devoted to making sure he exceeds his legal clients’ expectations. As a lawyer himself, he understands and appreciates the nuances of the legal industry and his clients’ specific needs while finding the perfect hire. I highly recommend Chuck and his team if your company is looking to identify, recruit and hire one or more legal professionals." "Chuck is great to work with. In a short amount of time, he presented me with several opportunities in the Kansas City market, many of which were not publicly posted. He was very responsivethroughout the entire process and worked hard to understand mygoals and aspirations. I’d highly recommend Chuck." "Terry and Chuck were very helpful with my search for a paralegal position. They took the time to meet with me to find out my strengths, interests and experience. They communicated throughout the entire process and I really felt like they were working to find the best position for me, unlike some of the big search firms in town that just wanted my resume and told me I would have to contact them for follow up. Terry and Chuck have a lot of connections in the legal field and they were able to find the perfect position for me!" "Chuck contacted me regarding a legal position he thought I might be a good fit for. He was well informed throughout the process and very organized. He was fun to work with and provided great insight. I recommend him to anyone seeking a legal position." Chuck helped me find a new position with a great law firm. He was very helpful, responsive, and encouraging. He did a great job finding a match based on my skill set. As a former colleague, I have witnessed Chuck and Terry’s amazing proficiencies in determining the right fit for attorneys over a wide variety of opportunities. Their knowledge and expertise extends to many different areas of law as their skills and commitment make them true leaders in the industry. Working with Chuck and the LSA team was a seamless process from start to finish. We gave Chuck the details of the hire we were looking for and he brought us a candidate that fit the bill more perfectly than we could have imagined. We will absolutely use Chuck and his team for all of our legal hires going forward. He took something that could be relatively difficult and made it painless. Thanks to Chuck and team! Chuck was a tremendous help as I looked to transition to a new market. He was in constant communication with me, and made himself available at all hours. His prior experience working with my targeted firm was very helpful as I navigated the interview and post-interview process. He was eager to help, and seemed to genuinely care about me finding a great fit. It was a pleasure working with him. Working with Chuck was great—everything moved efficiently and he made sure to keep me up to date as the hiring process progressed. I would highly recommend connecting with Chuck if you are looking for a new position. Through Chuck I found a new position I am genuinely thrilled about and Chuck made it painless. "Chuck was fantastic to work with. He took the time to get to know my strengths and goals, and matched me with a firm that was a great fit. He kept me well informed throughout the job hunt process. He has great connections with employers in the community and helpful insight into the Kansas City legal market. I highly recommend working with Chuck in your job search." "Chuck was awesome throughout the process of helping me find a job and relocate to the Kansas City area from Wichita. He identified employers that fit my practice areas and the culture I was looking for in my next job, helped initiate contact with them and set up interviews and even put me in touch with a realtor and offered to help where he could with finding a place to move. Chuck really took an interest in my future and made the process much easier. He's a real asset during the difficult task of finding a new legal job." One of the more pleasant experiences of my job search was working with Chuck Loose and Legal Search Associates. Chuck took the time to get to know me and my practice so that he could better target law firms that would be a strong fit. He knows the market, and he helped me make connections with some of the most respected firms in the Kansas City area. He provided regular updates and inquired about my progress--unlike a lot of other legal placement companies that couldn't care less about communication and follow-up. He's also just a good guy who clearly loves Kansas City, which is lucky to have him as an ambassador. Even though I ended up taking a job outside of the KC area, I wouldn't hesitate to work with Chuck again. He's a professional. If you have Legal Search Associates advocating for you, then you're in good hands. Chuck reached out to me with a job opportunity that he thought might be a good fit. He was very responsive and helped me with the initial interview process. He has a unique ability to place the right candidates with the right opportunities. I really appreciated his knowledge and his thoroughness. I would highly recommend his services! When I was looking to relocate and explore new employment opportunities, I contacted Mr. Bashor regarding employment listings on his webpage. Mr. Bashor responded almost immediately and helped facilitate submission of my application to the employer. Throughout the application and interview process, Mr. Bashor was instrumental in interfacing with the employer. After I received an offer, Mr. Bashor was vital in communicating my questions and concerns to the employer. His experience helped me navigate a new legal market and got me placed in an exceptional firm. I had the opportunity to work with Chuck Loose during 2017 and I really enjoyed that interaction. He is a professional and works very hard for his clients. He also does a great job of communicating as well as preparing his clients for interviews. I found that Chuck is not afraid to look outside the box when trying to place his clients. All in all a very good experience. I was contacted by Chuck regarding a legal position he thought I might be a good fit for. Through the entirety of the hiring/interview process, Chuck was very helpful and kept me well informed. He has been a pleasure to work with and I highly recommend his services! Due to the unique structure of our practice, it can be difficult to find experienced and talented attorneys. However, Chuck was able to find exactly what we needed and wanted and in a timely manner. 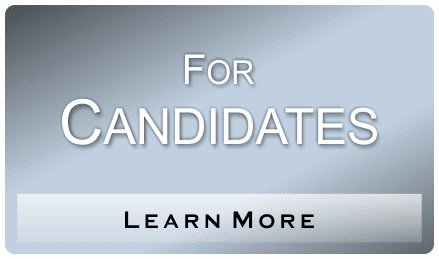 Chuck has proven to be extremely responsive when we have questions or need to seek additional candidates. The legal job market for new attorneys can be difficult to navigate. Within a week of meeting Chuck and working with his agency he found a position for me at a great firm. Highly recommend him! Legal Search Associates was formed in 1990 by Dr. Terry Bashor. He and Vice President Chuck Loose bring a wealth of legal recruiting knowledge and experience. This experience allows them to conduct the legal search industry’s most informative, comprehensive and targeted searches in the most professional and ethical manner. Think of LSA as an extension of your professional self or another resources for your HR department. Whether you are a client that engages us to add talent to your team or a candidate seeking out a new opportunity we take the time to thoroughly understand and tailor each search to fit your goals and needs. With over 25 years of successful attorney placements Legal Search Associates has forged solid, long term relationships with our client law firms and corporate legal departments. These placements have also allowed us to develop an extensive network of successfully placed talent who continue to assist us opening doors for new prospects.